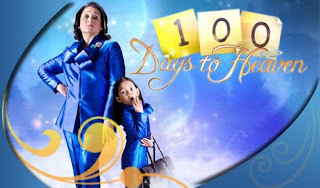 MANILA, Philippines - Not only has “100 Days to Heaven” earned the nods of TV viewers and critics, it has also been made the teaching topic of a church sermon. According to respected critic and columnist Nestor Torre, he heard a sermon himself wherein the priest urged churchgoers to learn from the story of the mean, icy, and cunning owner of a toy empire, Anna Manalastas. In his sermon, the priest said people can draw inspiration from Anna, who after being killed in a car explosion, was given a second chance at earning a ticket to heaven by doing good to those she have wronged. He said Anna's story shows the importance of "making amends, asking for forgiveness, attaining closure and deserving a second chance." And as Anna's mission in the program continues, the viewers can expect more inspiring stories and moving scenes with the entry of veteran actor Christopher de Leon and controversial actor Albie Casiño, who will play father and son in the show.